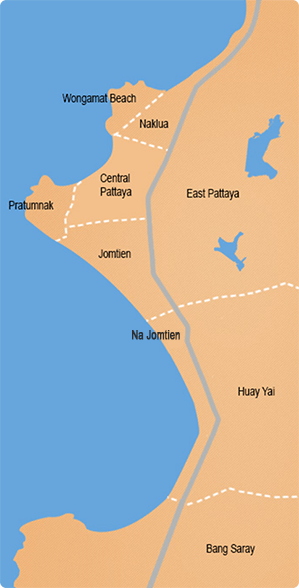 Condominium Project is convenient located on Thappraya Road, at the beginning of Jomtien. The project is very popular among foreigners and is very well managed and maintained. The large swimming pool has been renovated recently. Facilities: Large swimming pool, poolside restaurant, 24 hour security, entrance door key card system, CCTV - System. On the ground floor are many shops like mini-mart, laundry & cleaning, internet cafes, beauty salons & massage, travel agents etc. This nicely decorated 32 sqm studio is located to the quiet Pattaya Side of the building with view to the swimming pool. 1 bathroom, Air Condition, Cable TV, Fully Furnished.